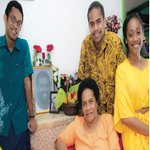 Bula, Namaste and Welcome to Fiji’s National Financial Inclusion Taskforce website, designed especially for Fijians. We want to share with you some ideas and information to help you better understand the different types of financial services and products, how and when they should be used, and some tips on improving your personal money management skills. 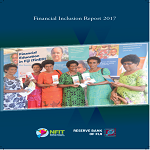 This is all part of the work relating to financial inclusion in Fiji, that is being coordinated and monitored by the National Financial Inclusion Taskforce. We hope you find it helpful. Who will be there to help, when you’re not?